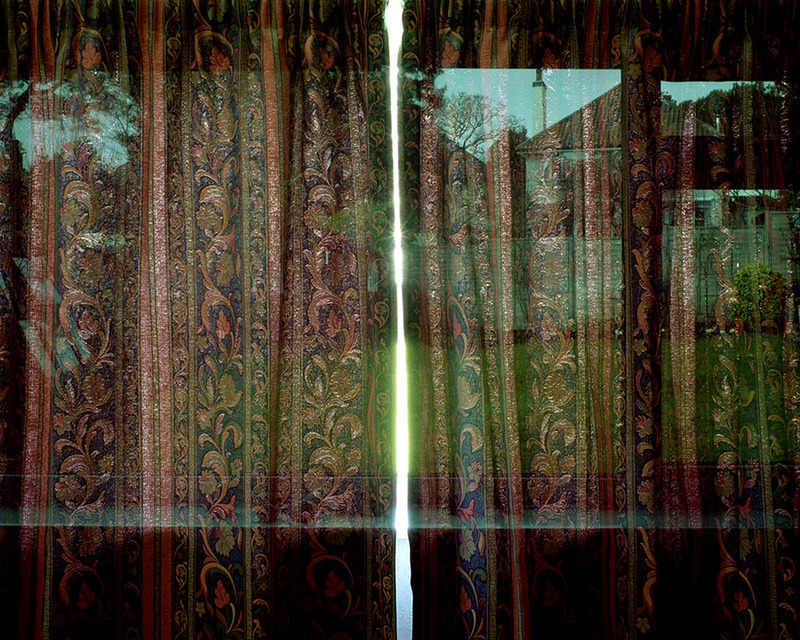 The etymological route of the word camera, from the Latin room, is the starting point for Martin Newth’s series ‘Room/Shutter’. The works are part of Newth’s ongoing interrogation into the material and generative properties of photography, where the process used to make a photograph is as much the subject of the work as what is being photographed. Other projects have seen Newth transform buildings into camera obscuras or deploy very long exposures to explore the relationship between time, movement and materiality. 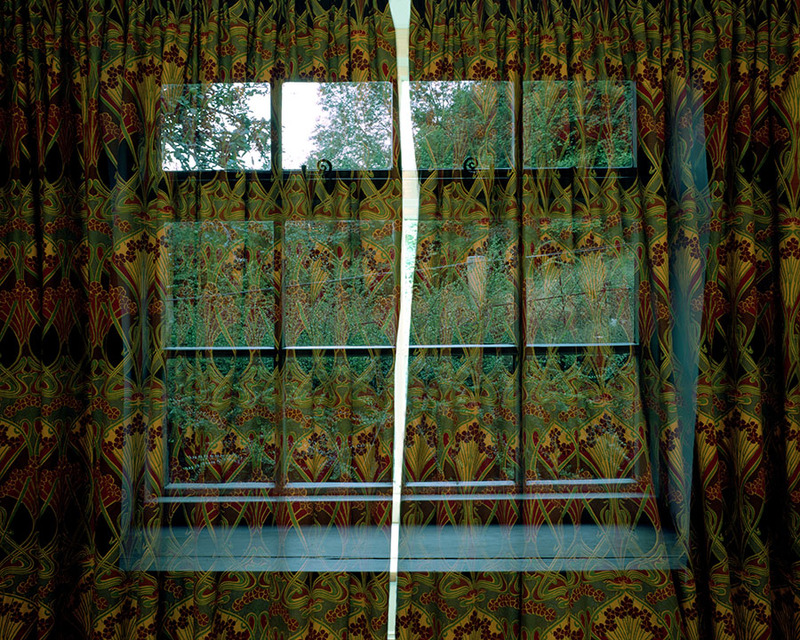 In ‘Room/Shutter’, interiors of domestic rooms, patterned curtains and landscapes viewed through the rooms’ windows are all subjects of the photographs. In addition, the action of the curtains opening and closing echoes the action of a camera’s shutter so that the room itself becomes a camera. The process that Newth deploys is a simple one. At dusk a large format camera is set up to point at a window. 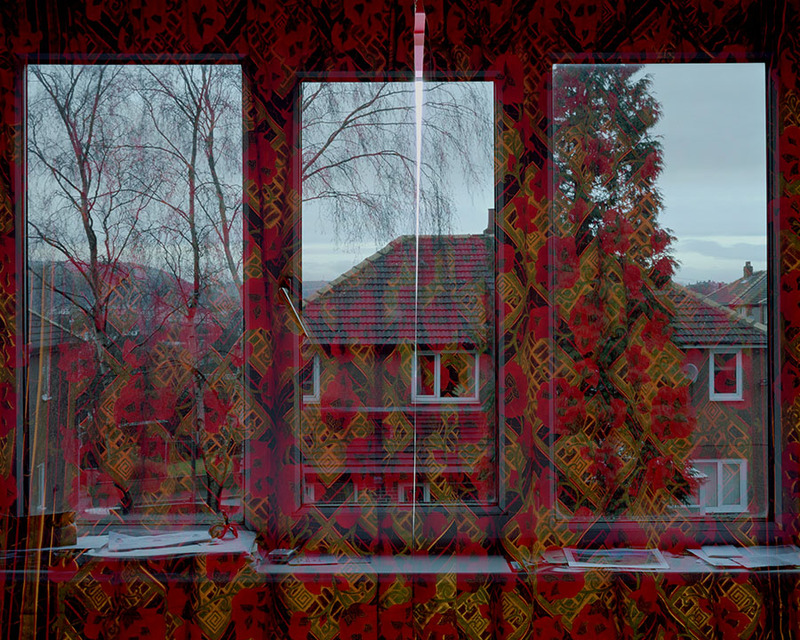 The camera shutter is left open to slowly photograph the drawn, patterned curtains in low light. 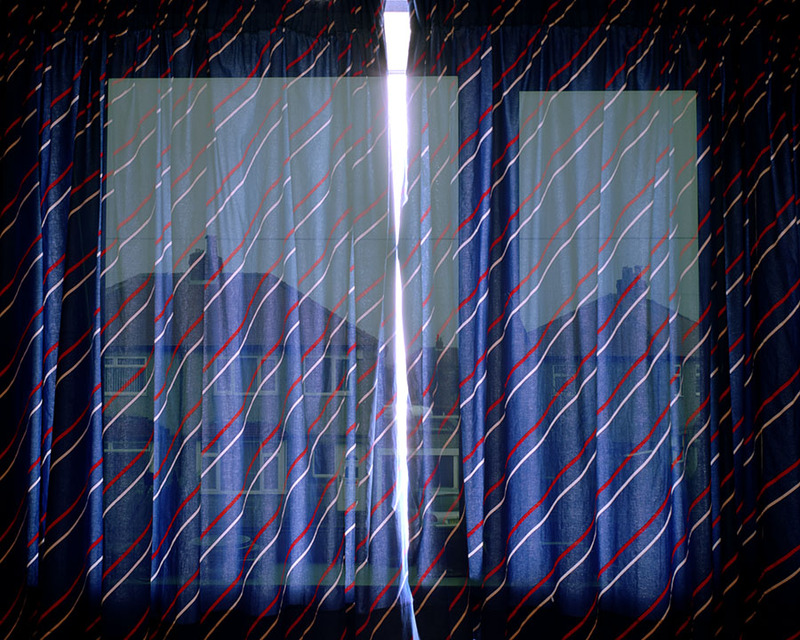 In the morning, eight or nine hours later, Newth opens the curtains so the view through the window is also recorded, superimposed onto the pattern of the curtain. 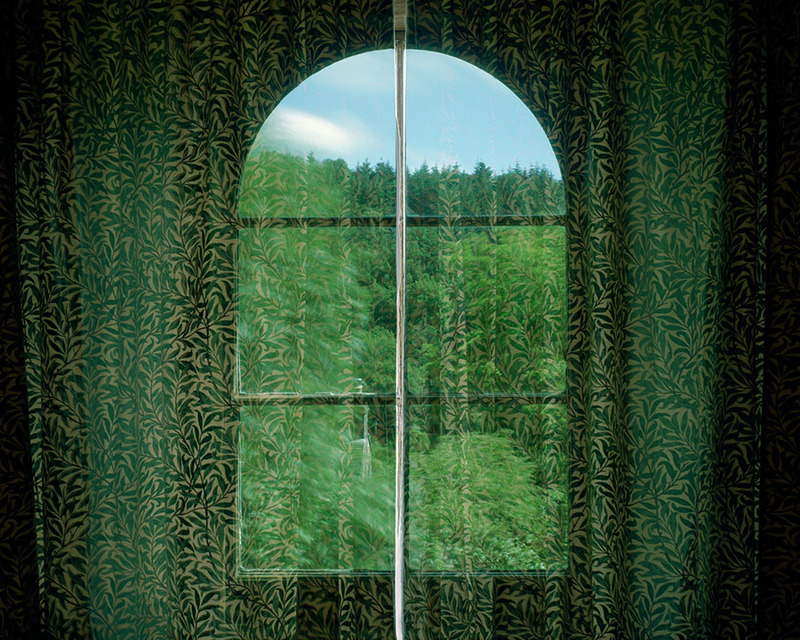 The photographs present two views of nature simultaneously: the one through the window; and the other, an idealised, controlled and repeated view of nature on the patterned curtain. 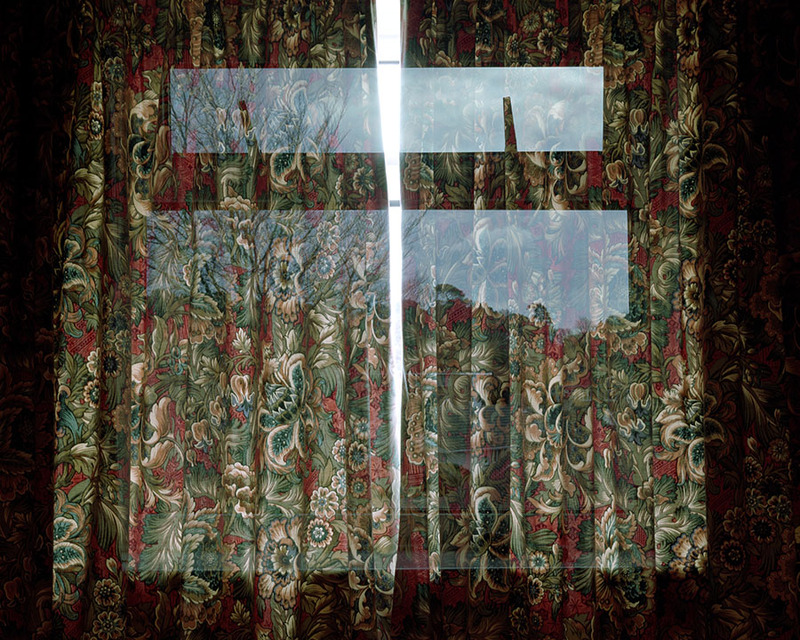 Inside and outside, day and night are compressed onto one image. Time and space collapse into a single picture plane. Common to much of Newth’s work, clues allow the viewer to read and decode the process. The slash of white light that dissects the image plays that role here. 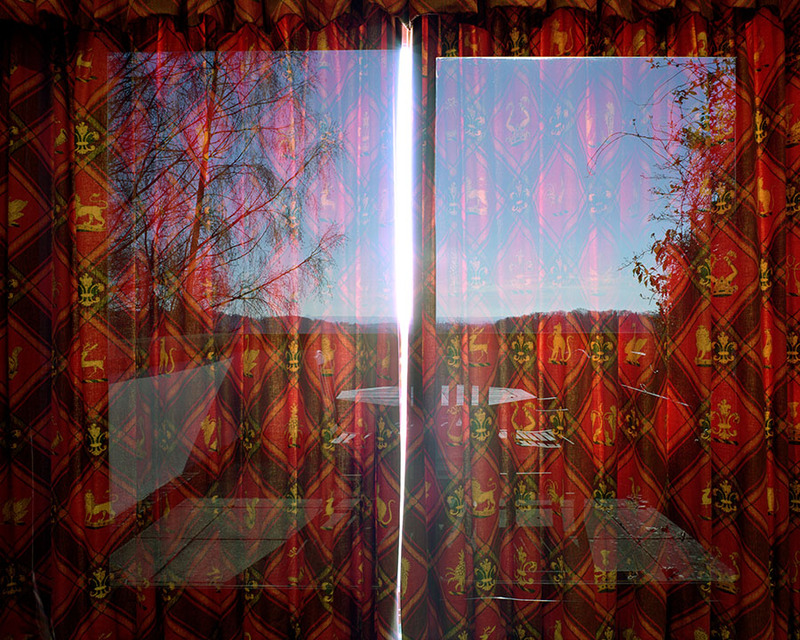 Sunlight entering the room through the crack between the curtains causes the overexposed slit of light. This is evidence of the long, drawn-out process deployed and shows how the images are not the result of digitally overlaying the two views. The violent fissure that splits the image, which could be read as the photographic equivalent to the slash in a Lucio Fontana painting, describes the taught relationship between control and light in photography. 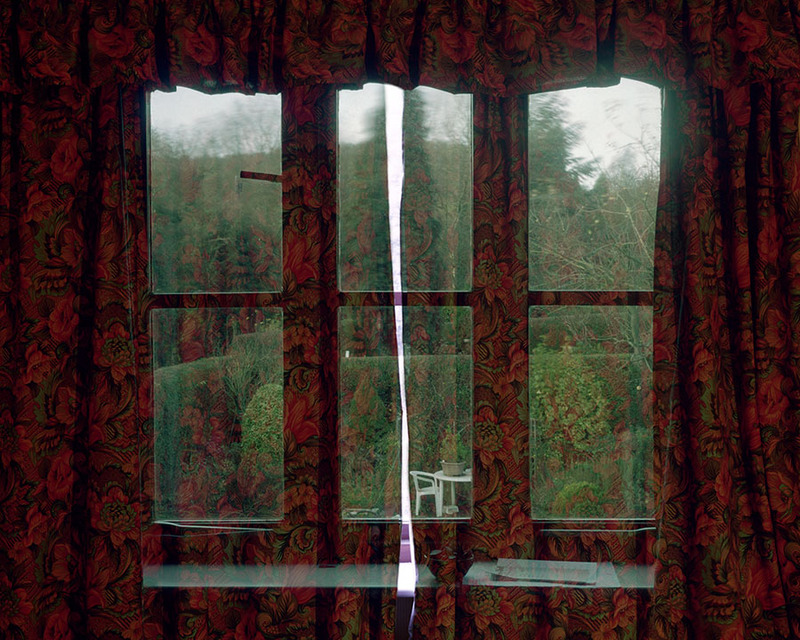 Were the crack between the curtains any larger too much light would enter the room causing the photograph to be completely overexposed and the image to be obliterated. The light that creates the photograph (and all photographic images) can be seen to also have the potential to destroy the image.